It was a lovely crisp and dry morning in December 2014 when Tony Tabner and his friends were setting up for a round of golf. Tony had been nursing a sore knee from an unrelated incident and so decided to hire a motorised cart to get him around the course. To start off everyone had parked their power caddy and equipment up front. Tony got in to drive forwards, but due to the very low sun that was shining straight in his eyes, he couldn’t see perfectly. In short, Tony put his foot on the accelerator and went straight into and smashed his friend’s electric caddy. Tony stopped and got out to survey the damage – the back of the caddy was broken and even the wheels had fallen off the vehicle. It was a write-off. Tony saw the manager of the course who collected all the damage and took photos of the incident, which he then emailed for Tony to have when he got back home. What happened when you contacted Golf Care? As soon as Tony came home he contacted Golf Care via the customer service Freephone line. His claim forms arrived quickly allowing him to support his claim with evidence of the incident and he was surprised by how soon a cash payment arrived. 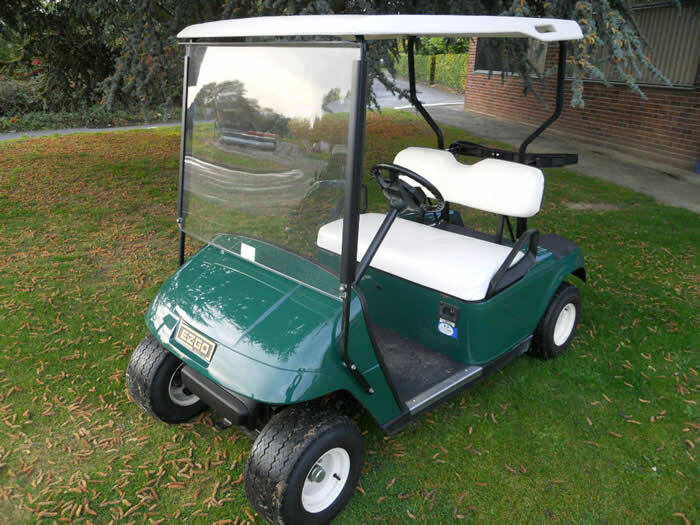 The payment covered a new powered caddy for his friend who was back out on the greens with his brand new caddy within two weeks. “The service from Golf Care was first class from the moment I first got in touch about the accident to settling the claim. What happened to me could happen to anyone and was just one of those things that can happen when on the greens in winter. Visibility on the day was low and even my friend stood nearby couldn’t see the caddy I hit, so how could I expect to see it when sat in a golf cart? “Golf Care’s cover has saved me hundreds of pounds and allowed me to continue enjoying my golf without financial penalty, something I would’ve been facing had I not been covered.